And then, five months later, on July 29, a teen magazine in the US of A (land of the free, especially religious freedom), Datebook, reprinted the quote out of context instead of submerged in an article, and used it as a part of a front cover story. 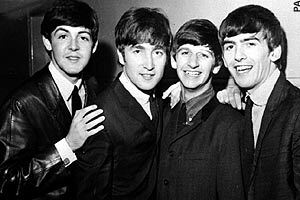 Radio stations in the south banned Beatles music. There were rallies of boys and girls stomping on their records and bonfires of Beatles material. John recieved death threats, and the KKK protestsed a Beatle concert in Alabama (because, apparently, it seemed like the Christian thing to do). This statement, hardly noticed in the UK, was completely taken out of context and the bible belt of the hypocritical southern states was used to beat Lennon and The Beatles in a very unfair and very non-Christian way. John was not comparing the Beatles to Christ or god or religion. The quote as it appears here, IN CONTEXT, is just John being John and using things he knew about in a way he naturally spoke to a friend/reporter. The Jesus lovers, acting in their best Christ-like behaviour, threatened to kill John. Who says terrorism is limited to radical Islam? 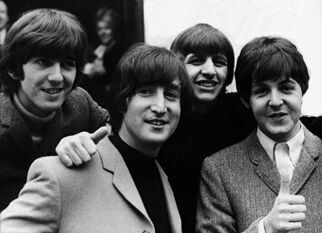 John: "If I had said television is more popular than Jesus, I might have got away with it, but I just happened to be talking to a friend and I used the words "Beatles" as a remote thing, not as what I think - as Beatles, as those other Beatles like other people see us. I just said "they" are having more influence on kids and things than anything else, including Jesus. But I said it in that way which is the wrong way." John: "Well, originally I pointed out that fact in reference to England. That we meant more to kids than Jesus did, or religion at that time. I wasn't knocking it or putting it down. I was just saying it as a fact and it's true more for England than here. I'm not saying that we're better or greater, or comparing us with Jesus Christ as a person or God as a thing or whatever it is. I just said what I said and it was wrong. Or it was taken wrong. And now it's all this." Reporter: "But are you prepared to apologize?" John (thinking that he had just apologized, because he did): "I wasn't saying whatever they're saying I was saying. I'm sorry I said it really. I never meant it to be a lousy anti-religious thing. I apologize if that will make you happy. I still don't know quite what I've done. I've tried to tell you what I did do but if you want me to apologize, if that will make you happy, then OK, I'm sorry." A Cute Ending - and true! Radio Station KLUE in Longview, Texas, one of the stations which organised the public bonfires of Beatles records on August 13, was knocked off the air the next morning when a bolt of lightning struck their transmission tower, causing extensive damage to their radio equipment, and according to the book Beatles In Their Own Words edited by Pearce Marchbank, knocking their news director unconscious.